Rent Bridal Car: Congratulation to GuoXiong and ShuHua! Congratulation to GuoXiong and ShuHua! 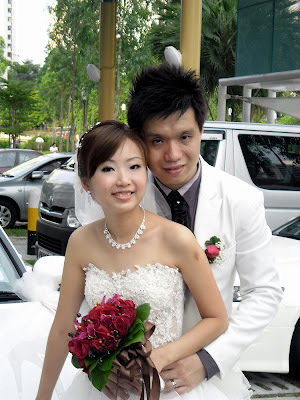 Newly Wedded on 10 March 2012! we are lucky to engage you. You are prompt in replying our emails and sms. 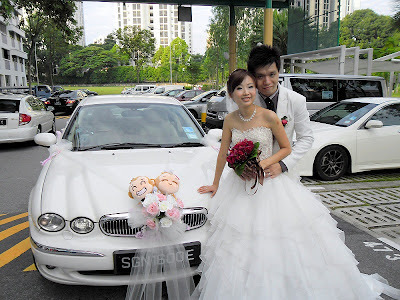 You also took the initiative to contact us near our wedding day to coordinate with the car's decor and schedule. Without your advise and reminder, we might miss some important schedule. Your car is clean and we really feel relax and safe on our journey. Excellent service and well maintained car at very reasonable charges. 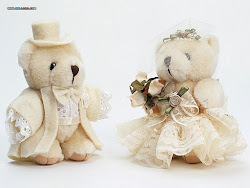 Congratulation to Jeff and Desiree!